Long lining is one of the best exercises to establish a great half halt for your horse. Without the encumbrance of a rider or carriage, you can focus clearly on your connection and communication on the bit. 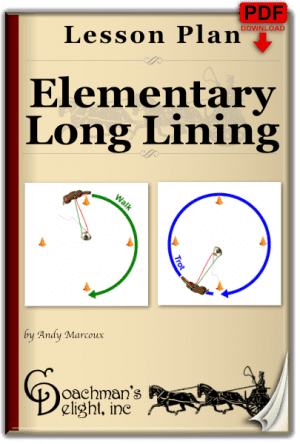 Get your horse on the bit, balanced, & prepared for transitions through this excellent long lining lesson plan with 7 exercises for creating the half halt. The half halt is one of the most universally important communications between a horse and driver or rider. Establishing that half halt takes a clear, and concise plan for action. This lesson plan will give you that plan for action with 7 clearly defined exercises. You’ll receive specific coaching for how to set yourself up for success, and Performance Priorities to keep you focused on your goal. 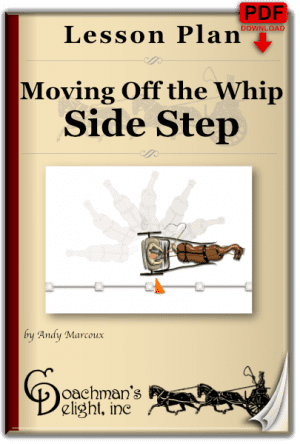 In addition to being a great lesson plan for long lining, you can adapt this lesson plan for carriage driving or working under saddle. This is just one lesson plan in the comprehensive Building the Half Halt online class. That class also includes a half halt lesson plan tailored for work in the carriage as well as a detailed article that will improve your understanding of the half halt. In addition to the course materials, you’ll receive an 80 minute class video explaining how to develop a reliable half halt for you and your horse. To receive this lesson plan along with all of the other downloadable course materials and class video Visit The Half Halt Class page. If you’re new to long lining, this lesson plan might be a bit challenging. 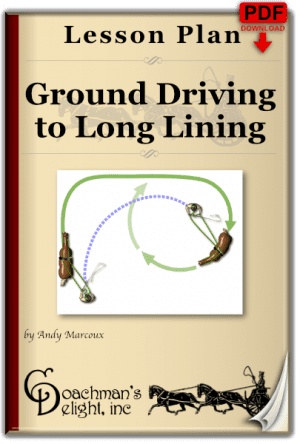 This lesson plan requires a moderate to high degree of proficiency in maintaining consistent contact while long lining. 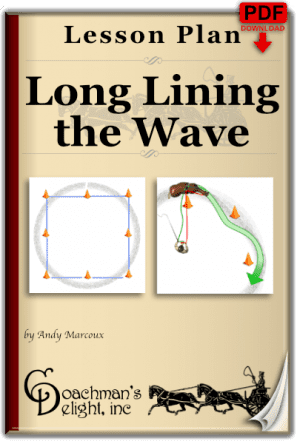 If you’d like to learn more about long lining, including some easier to exercises on the long lines, check out the Long Lining 101 class. You’ll receive several long lining lesson plans along with invaluable coaching to get your horse on track in the long lines.